Jared Padalecki and Misha Collins talk about Season 6 at breakfast at the 2010 Supernatural Chicago Con. This entry was posted in Restaurants and tagged BreakfastOn, Jared, Misha, Season on February 19, 2014 by David. 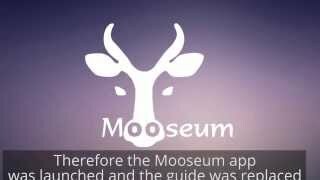 This entry was posted in Museums and tagged Audioguide, Bootcamp, ITNT, mooseum, Museums on February 19, 2014 by David. Me & My Chicago Dog! This entry was posted in Restaurants and tagged Chicago on February 19, 2014 by David. This entry was posted in Restaurants and tagged CATERING, Tims on February 19, 2014 by David. Experience the museums of Sterling and Fleming Colorado, including the two headed calf. This entry was posted in Museums and tagged Colorado, County, Logan, Museums on February 19, 2014 by David. This entry was posted in Restaurants and tagged Best, Burt's, Chicago's, Choice, Place, Viewer's on February 19, 2014 by David. me and my friends whoooo!~!! This entry was posted in Restaurants and tagged Chicago, Shore on February 19, 2014 by David. This entry was posted in Restaurants and tagged coming, Disaster, Fast, LIVE, Natural, Slow, Terms, Think, violence on February 19, 2014 by David. This entry was posted in Museums and tagged 2008, Audio, Huyghe., Memory., Narrative, Pierre, Projection on February 19, 2014 by David. Ada Fuentes, an organizer with Chicago Jobs with Justice, talks about the call for a May 1 march for comprehensive immigration reform and workers’ rights. This entry was posted in Restaurants and tagged Call, Groups, illinois, Immigration, March, Progress, reform, rights, Support, workers on February 19, 2014 by David.